This past Thursday we had a steamroller of a #langchat crammed full of resources and suggestions from our enthusiastic participants! Thanks to everyone for showing up, and especially to @CalicoTeach, @dr_dmd and @SECottrell for moderating. If you couldn’t find the time to make it out, it’s not too late to join the discussion. Please feel free to comment or share your own tips in the comment box below; we’d love to hear from you! We hold #langchat on Twitter every Thursday at 8:00 p.m. EST, with varied subjects chosen by you and your colleagues. This Thursday’s conversation was on the best methods and ideas for using authentic materials with novice learners. As always, participants blew us away with their useful contributions and thoughtful debate! Below are some of their great ideas and contributions. Authentic materials are materials geared towards target-language speakers, in contrast with materials geared towards target-language learners. These materials don’t necessarily need to be originally written in the target language, as most times any translation is aimed specifically at the target-language audience. Why do we use them? Authentic materials expose students to native culture, accents, pronunciation and patterns of speech. Expose your students to authentic resources from the beginning, or else they risk only being comfortable listening to second-language speakers’ manner of speech. There are many important notes to consider when choosing the right authentic materials. Principal among them, @dr_dmd says, is to make sure it’s level appropriate. For novice learners, choose resources that are not too difficult, but with some new concepts included. Keep in mind Stephen Krashen’s Input +1 hypothesis, which involves including comprehensible material that students have learned in the past with small amounts of new material to create learning opportunities that strengthen past knowledge. @SECottrell believes that the choice of the text is important, but that it’s first essential to choose the question or target concept. Questions are tailored to the level. For novice learners, some examples are “What’s his name?” and “What’s he like?”You’ll find many suggestions for authentic resources throughout this post. Once you’ve decided on the appropriate materials to share with your class, it’s important to know how to implement it effectively. Implementation varies with the nature of the resource — is it text, a video, a song or even just pictures? Authentic texts are useful literacy- and fluency-building resources, but with novice learners you can’t just choose a resource and distribute it to students. @rrrrrrrrrrrrosa stresses that it’s important to activate background knowledge and engage in pre-reading activities to make meaning. Reading and literacy strategies with authentic texts are essential. Once you’ve chosen a text, @klafrench suggests you highlight, underline or circle words to assist students with their comprehension and reading. Bring attention to both familiar and unfamiliar words, and feel free to attach sticky or margin notes with notations and tips, etc. Graphic organizers are also great tools to help kids decode the text. As are double-entry journals or charts. @klafrench uses these by having students write down a quote or other text on one side, then responding on the other. Guided reading with questions as students read is an effective strategy. @klafrench creates questions using familiar vocabulary. In this way, you can bring student attention to the key elements you’re targeting. @joellerudick is a proponent of re-reading texts. The first time, concentrate on comprehension. Later, focus on building fluency and language structures. Read more here. For students with reading difficulties, like many younger novice learners, @mmebrady advises letting kids read the text while listening to it at the same time. Great for pronunciation. For authentic writing practice, @mmebrady suggests using customer service surveys. Grab a handful from your next trip overseas or off the Web, and let your kids describe their fictional meal experience. Several teachers mentioned other forms, as well, such as doctor’s forms. Videos can be a great method to introduce new language, concepts or a topic, according to @klafrench. First ask your students to look for specific things or words in the video, such as past material, then focus on the new language. At times, you can ask students to draw the actions in the video or otherwise demonstrate comprehension. @msfrenchteach lets students listen to a video without watching the first time, so they concentrate on the audio component. Later they can listen and watch together. @klafrench’s students love watching videos of products sold in both the US and abroad. Pick a product, find some authentic commercials for each on YouTube and ask students to compare the differences between the two. 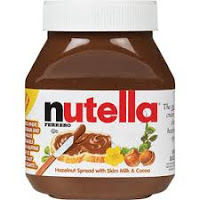 #Langchat recommends Nutella. @cadamsf1 likes using the commercials from the Latin Grammy Awards, as kids can also make a great connection with the music. The different accents from different countries are both educating and a good listening challenge for students of any level. Try comparing with the commercials from major American cultural TV events such as the Super Bowl or our own Grammy Awards. @SECottrell finds that the Latin Grammy Awards are great opportunities for practicing and learning about expressing gratitude, too. Eventually, someone ends up mentioning their family members for the added family practice. Full films are great, but @dr_dmd admits it’s challenging to stay in the target language for all activities, especially for novice learners. Showing a short scene from a film and then discussing or describing it in the target language is a good project. He admits that full films have their place, however — perhaps as a reward for a long and intensive unit? Cloze activities are fantastic with commercials, which can also be audio-based. Songs are great as well (discussed below), but commercials might match authentic speech a little more closely. Check out @SECottrell’s resources on commercial cloze activities. She suggests the difficulty is adjustable depending on the words that you drop from the files. The 3-2-1 strategy, shared by @joellerudick with credit to @RichardSmithAIM, requires students look at a picture, writing three things they see, two things they think and one question. It can also be used with videos easily, and with a little modification could work with texts and other authentic resources. Great way to show comprehension and create a speaking exercise. In French, @dr_dmd loves to teach art history and appreciation, so paintings are often used in his class. They’re great prompts for skits, poems and short group presentations or stories. @klafrench had exciting results by showing students a French painting and asked them to create stories around it. Another idea that combines authentic text: try finding the family tree of the royal family in Spain for Spanish family-themed units. Descriptive vocabulary works very well with the pictures, too (@profeguerita). Songs are great audio resources, as well as text. If you’re musically inclined, they can also be excellent speaking activities that really get students engaged, especially for young learners. For an example of a Spanish song for beginners, check out this post by @SECottrell. Songs are perfect for cloze activities. @karacjacobs likes to use cloze songs with cognates as the missing words; great authentic resource and activity for novice learners. Once you’ve selected authentic materials that you’re certain your students will love and be motivated to explore (Nutella’s YouTube channel or recipe page, anyone? ), how do you share it with them in class? @mmebrady uses the class Wikispaces home page, and @mllegcohen likes to ask students to share authentic resources on the class wiki as well. @SECottrell and @karacjacobs will take advantage of class iPads and iPod Touches when possible, but mostly uses projectors. @SraSpanglish usually uses Edmodo links, but if there are enough resources she’ll make a glog using Glogster. @lesliedavison uses Jog the Web to create Web books for students and to channel them towards specific sites. @profesorM uses a Smart Board in class; Edmodo and computer labs for reading projects online. @erindebell puts it best: there are too many authentic materials out there NOT to use them. All the same, some authentic resources might be not be age- or level-appropriate. Where can you find resources that your students will both be interested in and capable to absorb? Several teachers suggest advertising. There are many forms of advertising available, too: containers, television, radio, print, online, travel brochures, catalogs, phone books, etc. — advertising is everywhere in our modern times. Here’s an example of a site that @lesliedavison used recently for some classes: El Potty Dance. Real estate ads and sites are excellent sources to discuss measurements and house vocabulary, says @[email protected] thinks the same sites might be great for students to choose a dream house and explain why. @profesorM lets kids do a Web scavenger hunt with target-language restaurants, department stores, public transportation, etc. @SECottrell suggests asking students to write their own scavenger hunts for classmates. @mundaysa recommends IKEA’s website for furniture units. Missing people reports are unique ways to work on learning units on descriptions. @spanishplans suggests the site http://www.pgjdf.gob.mx/. An important note with websites: sites don’t necessarily need to be originally based in the target-language country or culture. Major American companies’ sites are nearly always specifically written for the target-language customers, not Americans, so the material is very much authentic. Sometimes, using American corporations even helps kids to identify with the project more — quite a few students would love to learn more about McDonald’s in Mexico, France or Japan. Menus from famous restaurants — or favorite ones — are also good, but maybe not right before lunch period! Use them for telling hours, prices and food. @profesorM looks for authentic comic strips online. Combining both text and pictures in an often kid-friendly package, comic strips are bite-sized resources that pack a big punch. Check out these comics shared by @SECottrell here and here. @SraSpanglish likes YouTube ads and selections, things like reality shows, travel ads, music videos. Lots of options! @mmebrady suggests Dailymotion as well; sometimes they have more options in French. @SECottrell used some great authentic media from a contest the group Camila ran on YouTube; she wrote a useful post on the resource here. For audio materials, there are lots of options out there. Novice learners might especially like nursery rhymes and children’s songs. Songs are also great sources for authentic texts, and combining the two allows you to cater to both learning styles. For speaking and text resources, authentic tongue twisters are fun activities or warm-ups in class. @profesorM suggests “Pepe pide pesos a paco para poder pagar el pqueno pepino podrido.” He also likes using jokes. Riddles are good ways to grab students’ attention at the beginning of class. Works of art, such as paintings, are great authentic prompts for the target language and culture. @fravan likes using these sources because it allows you to work with the language, culture and history together.Books! Authentic books and stories are great for all learners. For novices, stick to stories that students might already know (fairy tales) or children’s books to aid comprehension and keep the focus on the language. @cadamsf1 likes using the website El Corte Ingles, a Spanish-language department store, for vocabulary and groups — they also have an iPad app. Loogares is a great spot for novice Spanish learners focusing on reviews of places in Chile. Review places like this with lots of opinions are good for creating questions for students, @SECottrell suggests. See @SECottrell’s full list of Spanish-language corporate sites on Delicious. Several might be too advanced for novice learners, but recordings of historical speeches can be great listening or cloze activities. Check out this list of Che Guevara speeches — but preview before showing to kids. A Spanish real-estate site shared by @sonrisadelcampo: http://espanol.era.com/. @mmebrady follows @maisons_avenir on Twitter for French real estate. @FrenchAmis shared http://www.ina.fr/ for French video and audio, especially commercials and other ads. @profesorM recommends http://seat.es, the SEAT car company, for car vocabulary in Spanish. @spanishplans shared @alenord’s authentic resources wiki, full of great ideas and materials. For teachers whose schools block YouTube and other video-sharing sites, @spanishplans recommends saving the clip as a movie file, putting it on a flash drive and bringing it to school for easy sharing! Check out http://mediaconverter.org/ for more information. Thanks again to everyone who showed up and participated in the discussion on Thursday — it’s amazing what you all contribute to the profession each and every week! If you have any comments on our topic or ideas that you think your colleagues would find useful, please feel free to leave your thoughts below. Don’t forget to join us next week for #langchat on Thursday night at 8 EST. If you have anything you’d like to see addressed, make yourself heard through our voting early next week (monitor the #langchat hashtag for more info). Thanks for sharing this great resource. We wish we could host #langchat during a time that would accomodate our European colleagues more readily! Thanks for sharing with us here on the blog. Thanks again for a great summary! A lot of links and resources to go through.